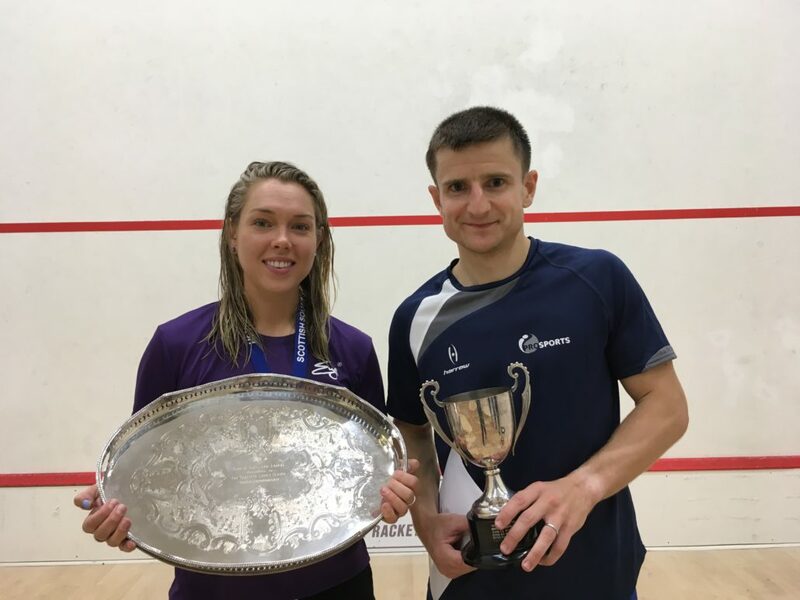 Lisa Aitken and Alan Clyne are the 2018 Sterling Trucks National champions after both recorded impressive wins at Edinburgh Sports Club this afternoon (Sunday). 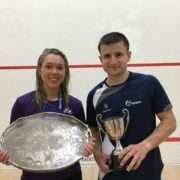 For Clyne it was a record eighth national title and his third in succession whilst Aitken secured a second title, eight years after her maiden victory. 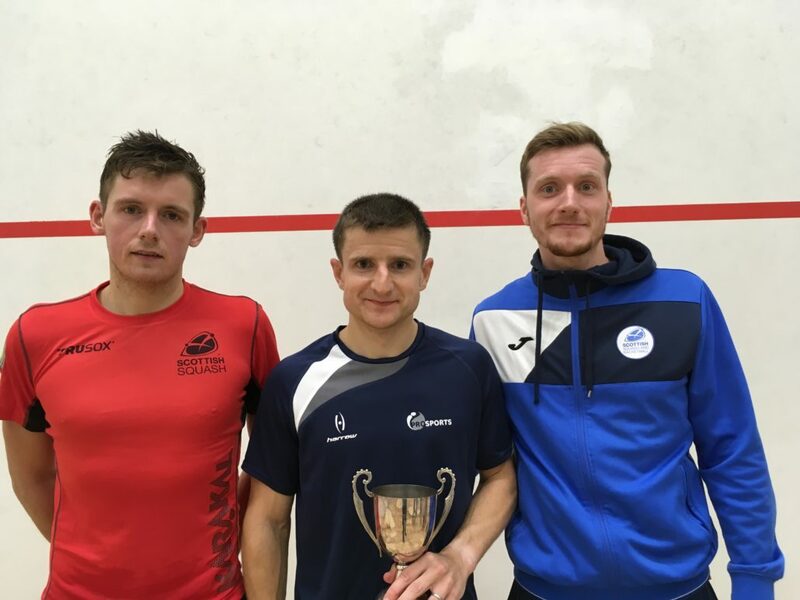 Clyne, seeded two this year, defeated doubles partner and top seed Greg Lobban in today’s men’s final, winning 11-3, 6-11, 11-2, 11-6. 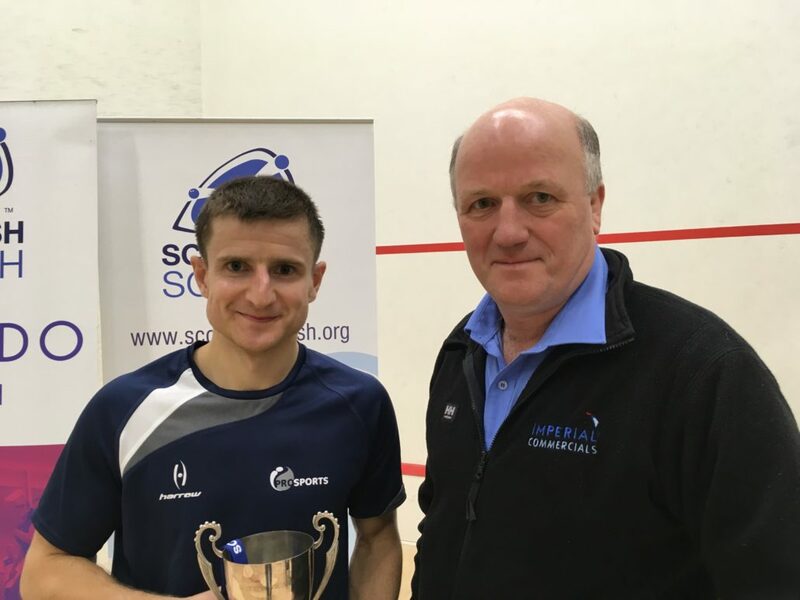 It was a composed performance from the 32-year-old who managed to play the most consistent squash which proved the difference between two evenly matched players. On the way to the final Clyne didn’t drop a game in seeing off James Taylor, Jamie Henderson and Stuart George, the latter who claimed a bronze medal today beating Rory Stewart 11-5, 14-12, 2-11, 8-11, 11-6 in a play-off. After the final, a delighted Clyne said: “I knew it was going to be a tough final, it always is against Greg who I have played many times. “He won when we met last time and it’s hard to play him because first he’s a good player but also because we are good mates. “I was quite relaxed going into the match, played really well and managed to take advantage of the spells when Greg maybe wasn’t on his game. On claiming an eighth title he added: “I was saying to my wife Olivia this morning that you don’t really think about the numbers. “I am just delighted to have won this year and then I’ll move on to the next one. Maybe when I retire I can reflect on a good achievement. 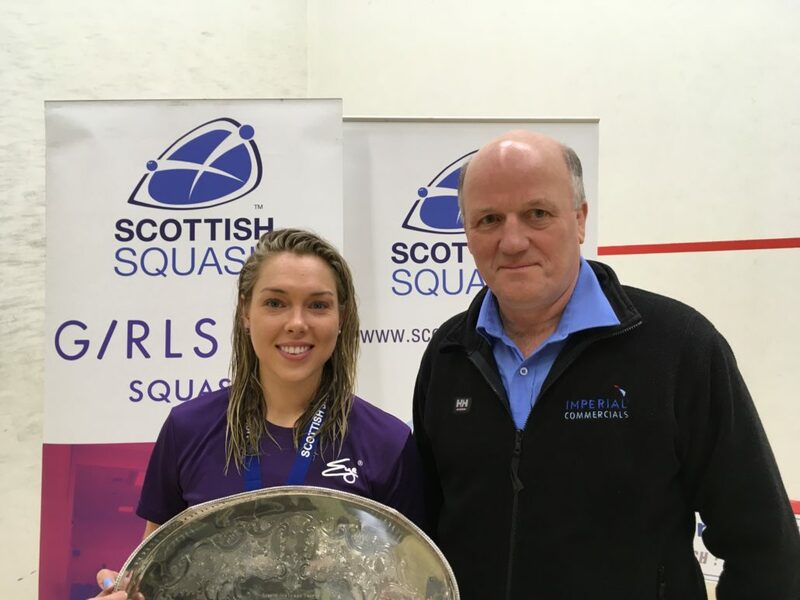 For top seed Lisa Aitken it was an emotional win today having last competed and won the national title back in 2010. 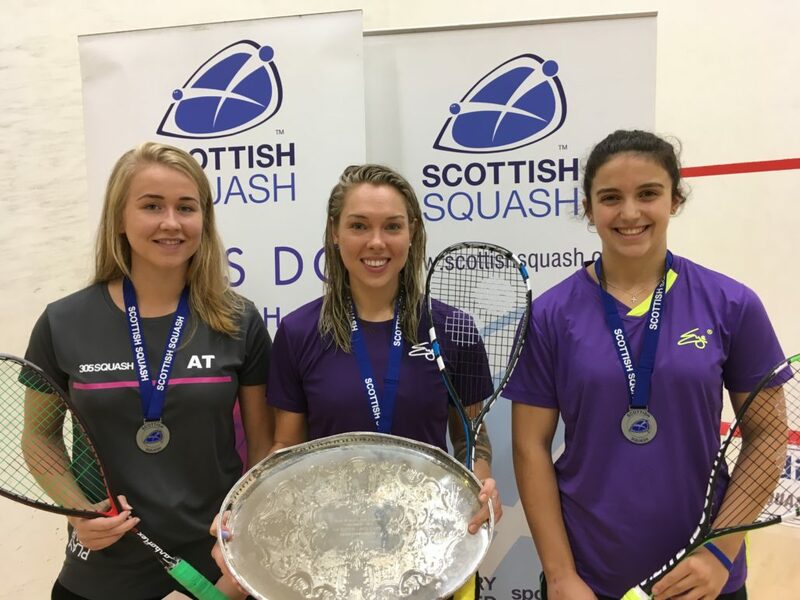 She faced Alison Thomson (2) in today’s ladies’ final and despite their close friendship off court the opening exchanges were feisty and engrossing to watch. Thomson started impressively and was ahead for most of the first game before an initially nervous Aitken pegged her back to win 11-8. It proved crucial as the more experienced Aitken then settled into the match and won the next two games 11-5, 11-4. The two-time champion said: “There is no tournament pressure like the pressure of playing in your national championships. “To be the best in your country and prove to everybody that you are the best and deserve to be top seed is very different to if I was playing Ali in a PSA Tour event next week. “I let the pressure get to me a little bit today having not won or played since 2010. She continued: “Every year when the nationals have gone by and I haven’t played, I’ve felt frustration and disappointment that I couldn’t compete. “So it’s quite emotional in a way, 2010 seems like such a long time ago. “That first game was crucial because I was behind for most of it and it was almost a relief to reset after that. Adderley secured bronze in the 3/4 play-off with Allen, winning 11-7, 11-6, 6-11, 11-7. 2018 Sterling Trucks National Championships, full results, click here.